Traditional design wooden folding airer, complimnets most settings in and around the home. 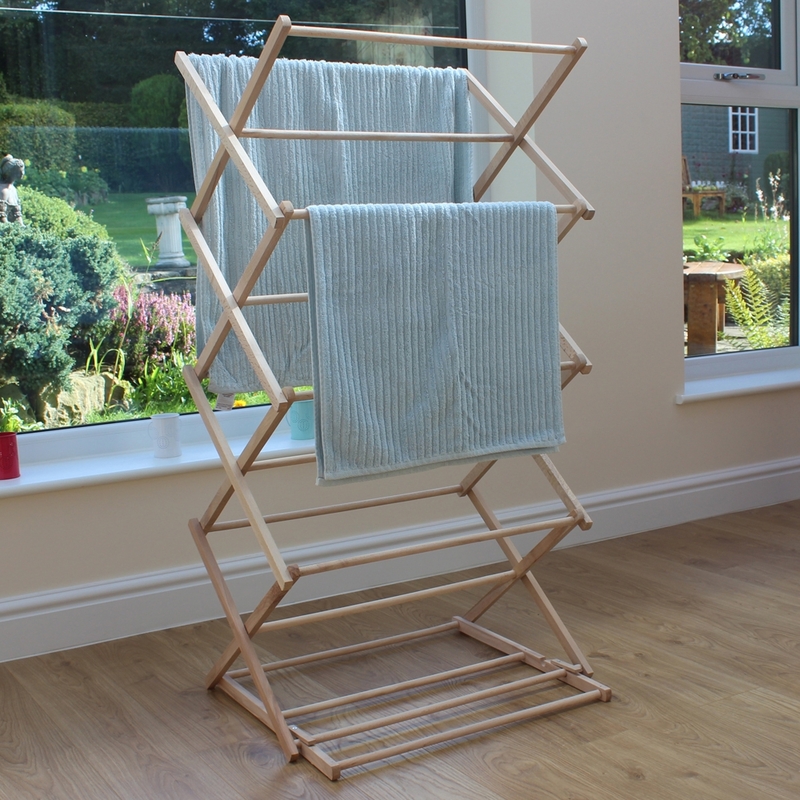 A convenient way to hang your clothes to dry, can be used indoors or outdoors, the airer folds flat when not in use and can be stored away neatly. Great for small spaces or taking to the caravan. Size: H:115-145 x W:60 x D:50cm approx.